Hello! It’s been days since my last post. I’m happy to share that my own readers are naturally my friends. They gave me feedback about my blog and some even asked to post about a game they’ve played. One of my peers asked if I could do a post about Dark Souls 3… I said I haven’t played that game yet and it got me thinking… What kind of game I can relate to that, so I said “How about Shadow of Mordor?”- He exclaimed “YES!” And I was excited to play the game again, especially for a friend. Are you a fan of The Lord of the Rings? Did you read the books? have you watched the movies? Are you eager to know what happened before Frodo took on a journey to destroy the ring? Well, Middle Earth: Shadow of Mordor takes place between The Hobbit and The LOTR. We’ll tackle how another important character played a big role in weakening Sauron’s army. (Disclaimer) Honestly, I’m not a die-hard enthusiast of the Hobbit nor the LOTR, (bear with me) I just got the gist of what happened in both trilogies. The Black gate of Mordor were guarded by brave rangers and Talion was their captain. Their base was fortified but was not enough from Sauron’s orcs who were lead by the three black captains of Sauron; the Hammer, the Tower and their leader-the Black Hand of Sauron. Talion watched his people die and worse- watched his wife and son being sacrificed to summon the wraith Elf Lord Celebrimbor. But the spirit was unstable, his memories did not recover for being a wraith for many years, he decided to fuse with Talion to regain consciousness. Now Talion has also defied death and have been granted powers from the wraith. Both Talion and Celebrimbor are now one. Memories of the Elf Lord slowly come back as they venture through the vast land of Mordor. After regaining all his memories, Celebrimbor once again found himself as a great smith from the past and regret forging the one ring for Sauron. Now, their only mission is to do the best they can to eradicate Sauron’s army. It is a third-person open world game (free roam). 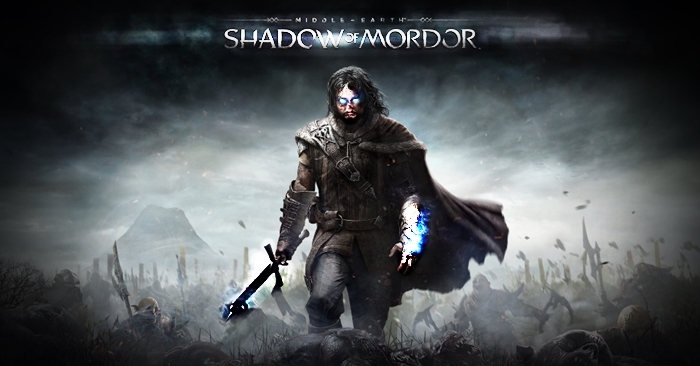 Player controls Talion who has wraith powers granted by the Elf Lord Celebrimbor. The main goal is to uncover the wraith’s past, seeking out artifacts to reveal missing pieces of his memory. As the game will progress, more abilities will be unlocked for Talion which includes mounting Caragors and Graugs from completing missions or side quests. There are different kinds of mission that makes this game a vast area of play style like; assassination, infiltrate, gain intel and etc. Gollum will be a part of this game as a side mission in helping recover the memories of the wraith, he refers to Celebrimbor as the “Bright Master” since he forged the one ring whom Gollum he calls Precious. There’s a section “Sauron’s Army” that shows a division of Uruks that are Captains and Warchiefs. Each Uruk leader has a variety of strength and weakness, these can be exploited by gaining Intel from another Uruk or acquiring them from a parcel laying on a table. You can send a death threat to a Captain or a Warchief; this feat allows the VIP to be protected by a gang which makes the game harder but it boosts the chances of getting good runes to equip your sword, dagger or bow. Once you have the wraith ability to “brand” a target, you can command that branded Uruk to challenge a Warchief to take their position, thus gaining control all of the Uruks (even if they are not branded). Boy, this actually covers a lot but I’ll make it short- every video game has a tutorial. (laughs) Honestly, it’s almost the same as every third-person game, like the DmC that I’ve posted days ago. The usual keyboard+mouse combination (basically in every third-person game). Left click is for attacking with the sword, right click is for blocking; aiming with bow. LCtrl is for “action”, Spacebar to sprint, LShift is “stealth walk”. The game is brilliant! Every aspect is so detail-oriented, even a lowly Uruk that I’ve engaged from the past will remember me and will also exact their revenge for what I did to them. The area is also vast, but after exploring the place and have placed ‘checkpoint’ on a watch tower, I could “fast travel”. The best thing I liked about this game is the system and combat. Every time a new warchief is promoted, I set my eyes on that leader and make sure they are marked as the target. Combat style is great! It has that Batman + Assassin’s Creed kind of fighting style. I could counter every time an enemy strikes at me. In conclusion, it is a fun game to play, especially when you’ve completed the story. Here’s the video! I just did a free-roam (no specific objective) I already completed the game, I marked a Warchief to kill but notice when they are down on their knees, they can be branded. Meaning, I can take control of these leaders and make them stronger.